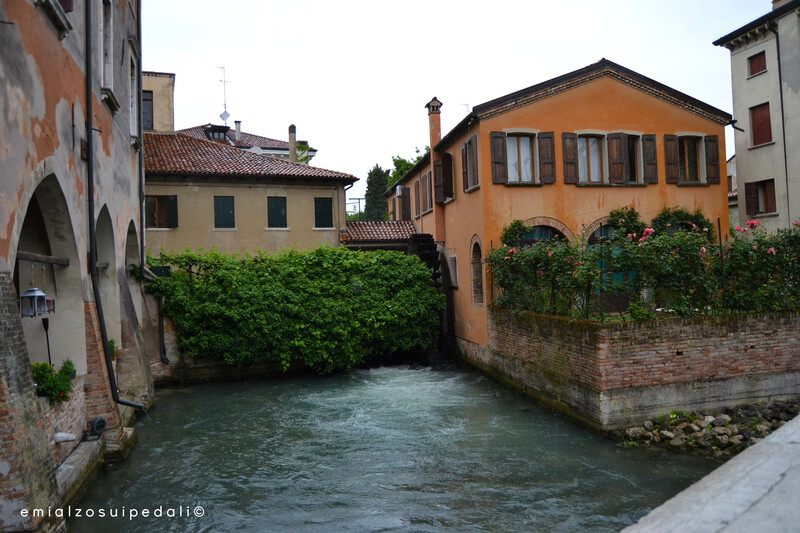 Treviso is a little enchantment of shiny shops and bridges and squares. There is a carousel with horses that seems a carillon. There is a man who rides in shorts on an improbable sonorous bike. 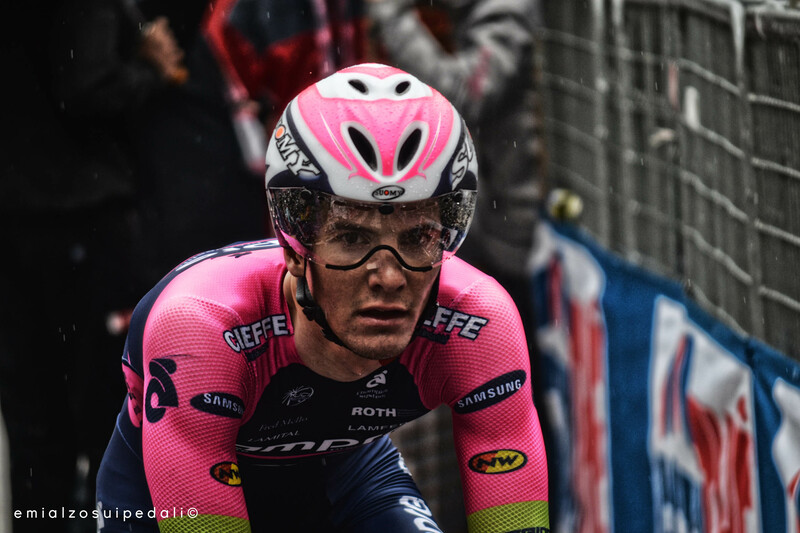 A passer man passes and whispers: “Xe matto queo lì!” It’s just the Giro. Feast that neither the rain can slake. People gather around the buses wrapped up in the capes and in the k-ways. The children run all around, they splash in the puddles, they don’t need an umbrella, the only thing that matters is to win the “bidons race” against their friends. The empty rollers that already trickle because of the rain. The saddles, the frames. Than slowly the towels, the helmets. And the cyclists. A time trial across the hills and their vines, villages that stops to wait everyone, from the first to the last. This is the first time that I look at a racer riding a time trial from the team car, but to explain this a page of this hasty travel diary full of feelings, with a lot of dots and few commas is not enough. This page is humid, that kind of humidity you feel into the bones when you spend hours waiting for cycling. It has the smell of the strange autumn of May that there was at Valdobbiadene. Smell of smoke that seemed to be the roast chestnuts’ one. I’ve felt the cold just later, after that Contador came with his eyes fixed on the screen to be sure he had stolen Aru’s time in a day that must have been his. Despite falls, despite the shoulder, despite everything. After that Aru came in a pink that wasn’t his anymore, grimace of fatigue under the pouring rain. 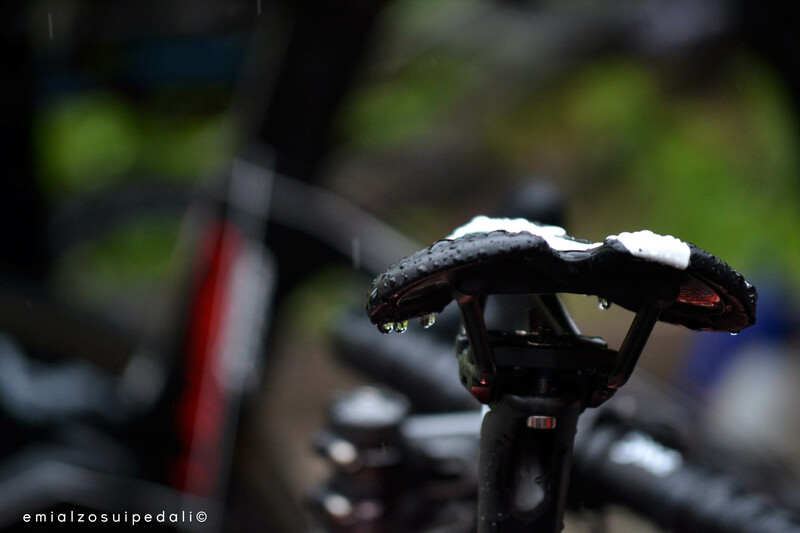 Because cycling is something that warms you up. Indeed no. It is something that makes you go over all, even over the rain. You just think of being there. 2 risposte a "#Girodays | Treviso"